Today Amazon announced that Prime Day, their biggest sales event of the year for Prime members, will fall on July 11th this year, with sales starting at 9pm ET on July 10th. They’ve already started rolling out some early deals starting today. I remember reading last year that Prime Day was the bigger sales day ever for Amazon, so expect lots of good deals this year too. 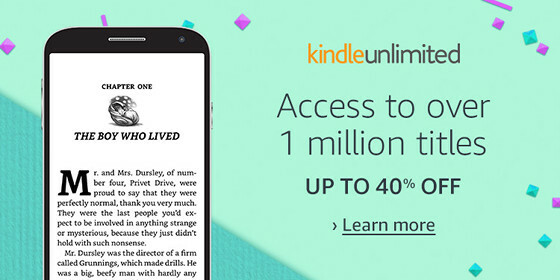 Starting today, Prime members can get up to 40% off Kindle Unlimited, Amazon’s ebook subscription service. There’s also the ongoing deal to get Kindle Unlimited free for 6 months with the purchase of a Kindle Paperwhite, but that doesn’t require Prime. Another early Prime Day deal, you can get 40% off the first 6 months of an Audible subscription for audiobooks. Some other early sales include deals on Prime phones at up to 50% off and they’re offering 4 month of Music Unlimited for 99 cents. You can also get a $10 credit to spend on anything you want just for streaming a Prime video for the first time on your TV. They also have the option to add items to a list and then they’ll notify you if the items become available as one of the Prime Day deals. For more details check this page for Prime Day Deals at Amazon, where they’ll be adding new deals everyday leading up to Prime Day. I don’t quite get it about the Prime phones. Are they gonna be half of the price we see now or it’s the price for the Prime day? As far as I recall, Nokia 6 has always been 179.99. Thank you! I’ve been having troubles with Amazon’s OnTrac delivery service getting my item to me. Just the other day I waited for my item and it showed OnTrac had delivered it, but their driver put in the wrong code Amazon’s customer service told me this time. I asked for my items not to be delivered by OnTrac, but was told they select the delivery service by random, but I was told otherwise by the other carriers this is not the case and only use UPS or FedEx for larger packages. Oh, I can go on and on about OnTrac and their bad service. I turned Alexa off, cause she kept adding items to my shopping list and wake me up in the middle of the night saying, “I don’t understand the question” and other such stuff. Guitar? That’s right up my alley. I didn’t even know B&H sold guitars, but I guess they sell a little of everything.